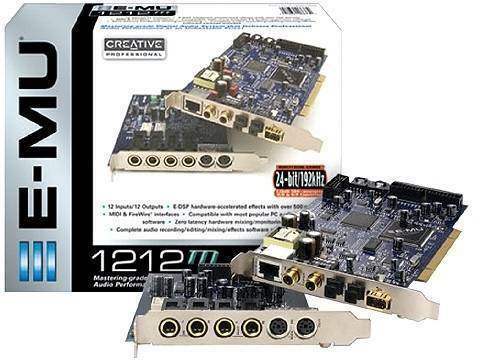 1212M, Internal PCI/ISA Sound Card from E-MU. S/pdif (coax), adat (optical), balanced 1/4&quot; in/outs, all gold plated, midi, firewire and an adapter for the e-mu dock.. what else do you need? 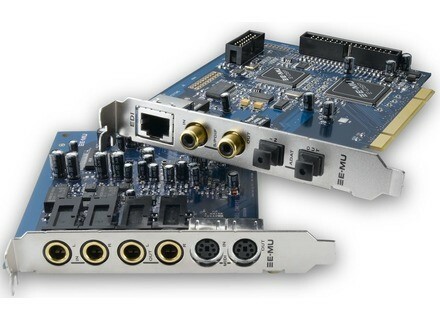 The soundcard features stereo 1/4 jacks for in and out (L/R in, L/R out), S/PDIF in and out, ADAT, and Midi in and out. I am currently only using the 1/4 jacks (ins for my turntable, outs for my speakers) and they're great. 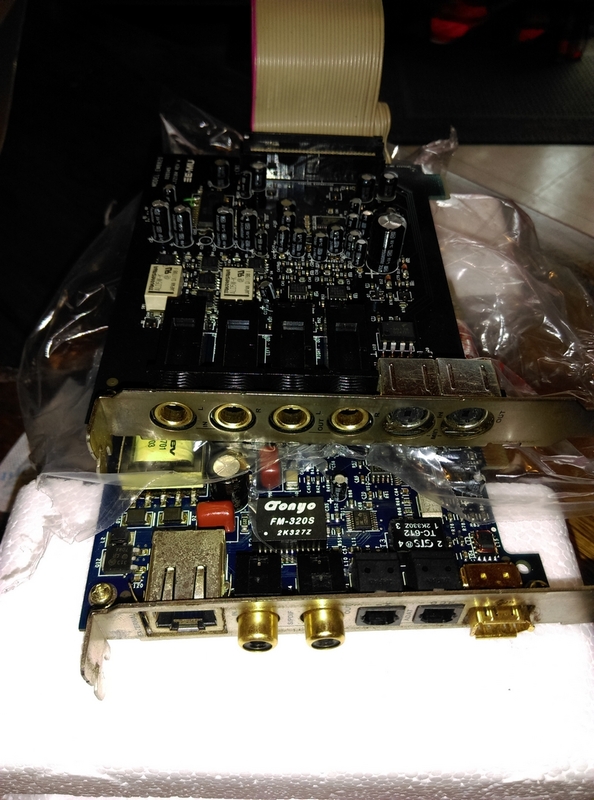 For a pci soundcard, it's got everything. 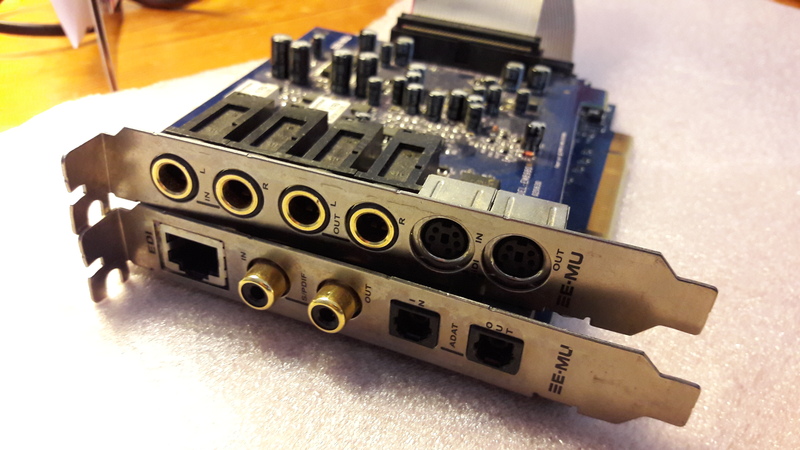 I haven't even begin to tap the full potential of this soundcard but the software/driver that it comes with (patchmix dsp) seeems a little bit complicated, but that may be just because I am a beginer. The asio routing seems to be confusing to me. Installation was easy, plug in both cards into pci slots and connect the ribbon cable between the two. as of recording through the 1/4 jacks, i didn't have to set up anything. just plug in the 1/4 cables and hit record in cubase. I bought it used, and it seemed as good as new. This is the only sound card i have expiereince with but for me, i am satisfied with it. I am sure there are better soundquality sound cards out there but for the price i got it for (and the original price), you can't beat it. I personally love this sound card. 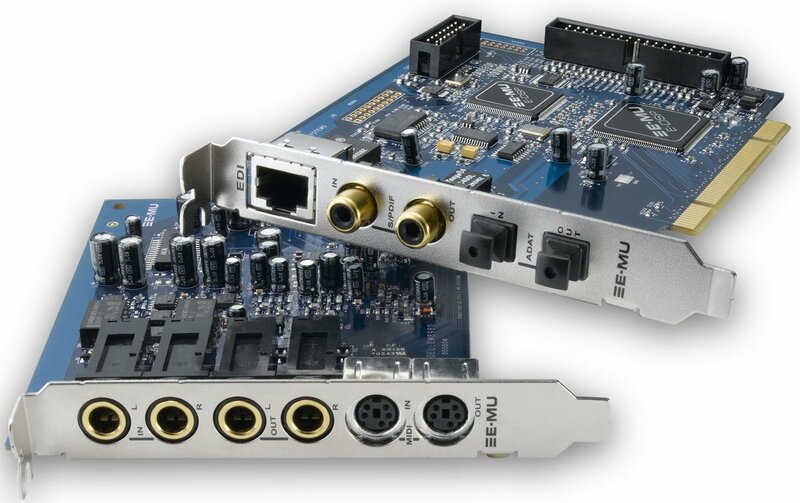 in my opinion its the best pci sound card (besides the higher models of the emu soundcards). But for the price, this is a great sound card. In use with a mixer and a midi interface, you can hook up anything to your computer. Features are limited, but it is only a soundcard so what more could you want? The installation is easy, however the Patchmix to set the unit up with your software can be a daunting task if you've never done this stuff before. They could have made it a little easier. I've had mine for over a year now and it works just as well as it did on the first day. No complaints whatsoever. Great quality of audio going in and coming out of this card. Its a great unit for the price and I would encourage artists on a budget to pick it up.